Monaco is a sovereign city-state located on the French Riviera. France borders this tiny country on three sides with the fourth being the Mediterranean Sea. World-renowned for its municipality, Monte Carlo, this region dates all the way back to the occupation of the Romans and grew into one of the wealthiest areas in the world! This is also the second smallest country in the world, and the world's most populous; look into our Monte Carlo and Eze Full Day Sightseeing Excursion for exploring this wonderful place. Air-conditioned and licensed round trip transportation from your Monte Carlo excursion meeting point at your ship's pier or tender pier! Experienced and English speaking local Monte Carlo sightseeing excursion guides! See the Medieval hilltop town of Eze and enjoy an introduction to perfume! 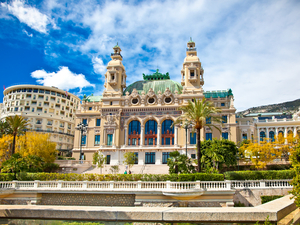 Visit the Rock of Monte Carlo and stop for photos in Casino Square! Ride along portions of the Monte Carlo Grand Prix! Escape the cruise ship shore excursion crowds and enjoy unique sights of Monte Carlo and surrounding area! 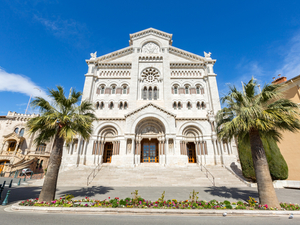 Get in and out, seeing the highlights of Medieval Eze, scenic La Turbie, and the glamour or Monte Carlo in this quick paced, small group sightseeing excursion from Monte Carlo, Monaco. Air conditioned and licensed round trip transportation from your Monte Carlo excursion meeting point! English speaking and licensed Monte Carlo sightseeing shore excursion guide/host! Limited to 8 guests only! See the city from Colline du Chateau! 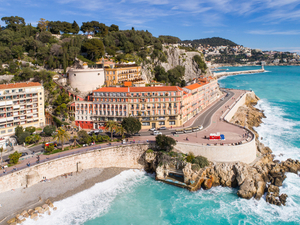 Enjoy a sightseeing drive along the Promenade des Anglais! 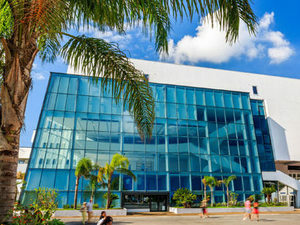 See incredible architecture in various styles and drive through the exclusive Cimiez neighborhood! Get in and out to see the best of Nice! A half day sightseeing excursion to the French Riviera's largest city on this quick paced, small group excursion from Monte Carlo, Monaco. Air conditioned and licensed round trip transportation from your Monte Carlo excursion meeting point close to your cruise terminal! Visit the Rock of Monte Carlo with additional 2.5 hrs of free time! A full day of French Riviera's best sightseeing on this Monte Carlo Excursion! See Medieval Eze, Roman ruins at La Turbie, the glamour of Monaco PLUS have free time to explore Monte Carlo on your own. Air-conditioned and licensed round trip transportation from your Monte Carlo cruise pier! Free time in the Medieval hilltop town of Eze! Guided visit to a perfume factory! Visit Monte Carlo and sightseeing of the Grand Prix and Prince's Palace! 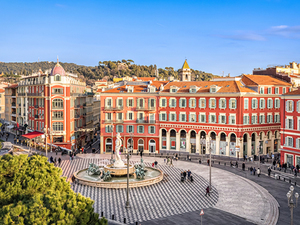 Visit Nice and walk the Promenade des Anglais and Old Town! Explore the beautiful towns of Eze and Nice and have free time to explore the old town or do some shopping. You'll also have time in Monte Carlo to admire the Prince Palace and the Grand Prix. English speaking and licensed Monte Carlo Sightseeing Excursion guide/host! Enjoy free time in artistic St. Paul de Vence! 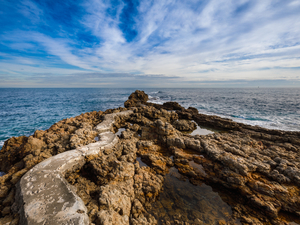 View charming seaside Antibes during a driving sightseeing orientation! Enjoy a drive along La Croisette in Cannes! Stop for photos on the steps of the Cannes Film Festival location! Escape the cruise ship shore excursion crowds and enjoy the unique sights of Monte Carlo and surrounding area! This quick paced, small group Monte Carlo Cruise Excursion will get you in and out of three of the most popular destinations on the French Riviera - Cannes, Antibes and St. Paul de Vence! Air-conditioned and licensed round trip transportation from your Monte Carlo cruise ship terminal meeting point! English speaking and licensed Monte Carlo and French Riviera Sightseeing Excursion guides/hosts! See the Medieval hilltop town of Eze and see ancient Roman ruins of La Turbie! Enjoy an introduction to perfume! Visit the Rock of Monte Carlo, stop for photos in Casino Square and ride along portions of the Monte Carlo Grand Prix! Enjoy free time in artistic St. Paul de Vence and view charming seaside Antibes during a driving orientation! Enjoy a drive along La Croisette in Cannes and stop for photos on the steps of the Cannes Film Festival location! Spend the whole cruise excursion day seeing the very best sites of the French Riviera on an exclusive guided small group sightseeing shore excursion from Monte Carlo, Monaco! Air conditioned and licensed round trip transportation from your Monte Carlo cruise ship terminal! English speaking and licensed sightseeing shore excursion hosts! 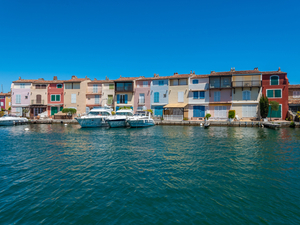 See the architecturally designed Port Grimaud! Enjoy a visit and three hours of free time in Saint-Tropez! Visit the ultra-chic world famous Saint Tropez and the nearby architecturally designed resort town of Port Grimaud. Small groups only, guided sightseeing shore excursion from Monte Carlo! Air-conditioned and licensed round-trip transportation from outside your Monte Carlo cruise terminal! 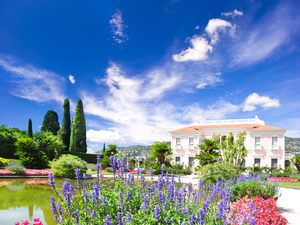 Admission and free time at the Villa Ephrussi de Rothschild art collection! Admission and free time at Le Musee National Marc Chagall! Admission and free time at Le Musee Matisse! Visit three of the French Riviera's most popular museums during this self guided afternoon excursion. Air-conditioned and licensed round-trip transportation from outside your Monte Carlo cruise terminal pier! English speaking sightseeing and wine tasting shore excursion guide/host! Fragonard perfume making a demonstration in Grasse! 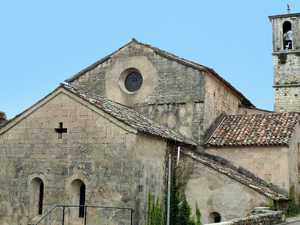 Free time in Medieval Valbonne! Free time in Medieval Gourdon! Wine tasting at a local winery! A perfect day in this Monte Carlo Excursion. Explore the Provencal Countryside with perfumes, medieval towns and local traditional wine tasting on this unique combo sightseeing cruise shore excursion from Monaco!